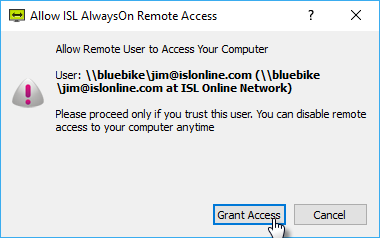 When adding a remote computer to your ISL AlwaysOn list, the usual practice is to send an invitation email to your client, who opens the provided link and installs the ISL AlwaysOn agent onto their computer. But, did you know that ISL AlwaysOn supports a quick and easy way of adding a remote computer via the 12-digit code? 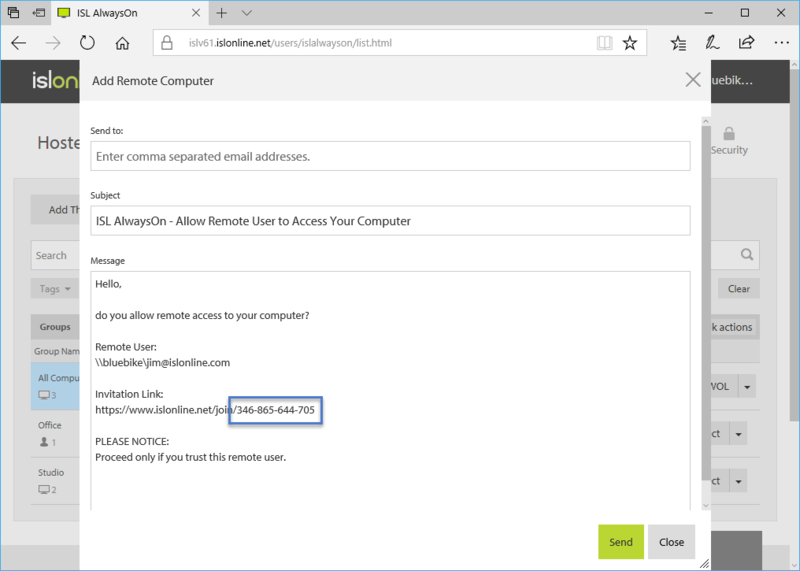 If your client is around their computer when you’re setting up unattended remote access, we recommend you try this option. Keep in mind that the first part of the instructions that follow should be performed on your side (operator side) and the rest on your client’s side. As usually, start by clicking “Add remote computer”. Copy the code and share it with your client. 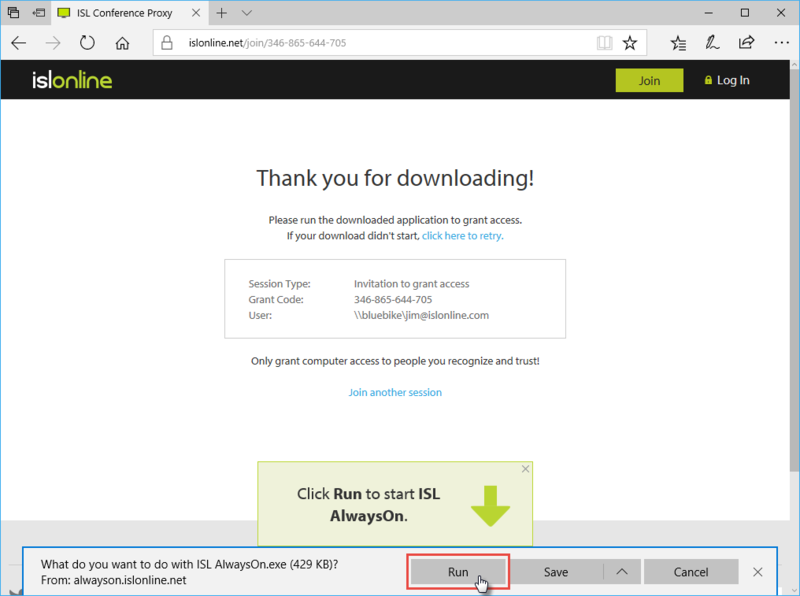 Start the remote access agent ISL AlwaysOn installation. Grant access to a remote operator. From now on the operator can access the Client’s computer provided they have the access password the client has set. Quick and easy, right? If you prefer watching a video, Jim explains this procedure in a video tutorial, which shows you different ways of setting up remote access on computers. 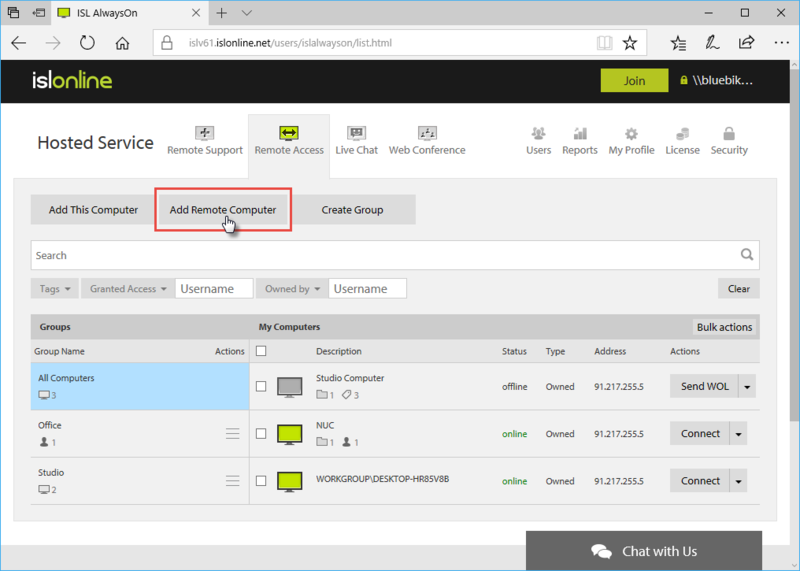 This entry was posted in ISL Online features you probably didn't know about and tagged advanced features, ISL AlwaysOn, IT support, remote access, settings, unattended remote access. Bookmark the permalink.